Congratulations on receiving the 2016 DCA TOP 100 Awards! The communications materials are provided below to help you share this good news with others. City Name Speciality Recognized as one of the Top100 Doctors in Doctors’ Choice Awards. City Name, State Name, 23rd August 2016 – Local Speciality eg: Facial Plastic & Reconstructive Surgeon, Dr. NAME is one of 100 doctors in the nation to receive the prestigious DCA TOP 100 Award, out of nearly 6000 board certified specialists with a presence on Doctors’ Choice Awards—the leading premier awards program in the healthcare and medical industry. 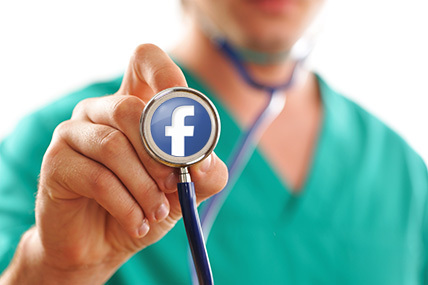 In a time when 1 in 4 U.S. adults share their health experiences on social media channels, the medical professionals that made the 2016 DCA TOP 100 are recognized both for having attained a high degree of peer recognition and professional achievement. According to the Doctors’ Choice Awards, 9 out of 10 consumers say reviews influence the doctor they choose. Doctors’ Choice Awards first developed the award in 2014 to recognize outstanding doctors based on impeccable practice credentials, outstanding leadership within the profession, and the quality and quantity of endorsements from their peers from around the country. They say that patients usually prefer to have a doctor whom even other doctors would go to see. Therefore, by enabling doctors to be recommended by other doctors, patients who choose a Doctor’s Choice doctor can rest assured that they are seeing a doctor who other doctors would choose too. Optional: Sample doctor quotes – feel free to include or alter either of these quotes, or leave them out altogether. You are also welcome to come up with your own quote and plug it in here if you choose. One of the DCA Top 100 doctors for 2016 is Dr. Name. Dr. name is an expert small bio about the doctor. In 2016, he/she received the most positive reviews from his fellow doctors in the Doctors’ Choice Awards for his work in category. For more information on Doctors’ Choice Awards and to see a full list of this year’s winners, visit www.doctorschoiceawards.org. 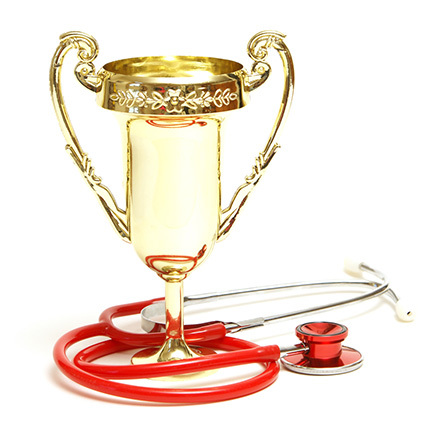 A sample article about the awards program and your accomplishment may be appropriate for your practice newsletter. You may also submit the article to your local medical association and/or special interest groups. Dr. Name has received the 2016 DVA TOP 100 Award . He/She is one of 100 doctors in the nation to receive the prestigious DCA TOP 100 Award, out of nearly 6000 board certified specialists with a presence on Doctors’ Choice Awards—the leading premier awards program in the healthcare and medical industry. 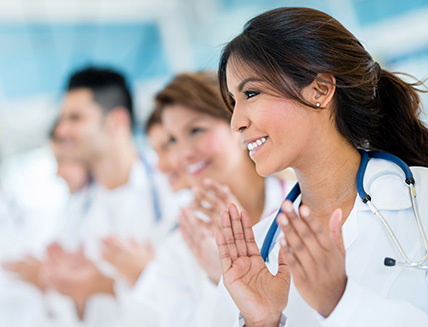 Doctors’ Choice Awards first developed the award in 2014 to recognize outstanding doctors based on impeccable practice credentials, outstanding leadership within the profession, and the quality and quantity of endorsements from their peers from around the country. They say that patients usually prefer to have a doctor whom even other doctors would go to see. Therefore, by enabling doctors to be recommended by other doctors, patients who choose a Doctor’s Choice doctor can rest assured that they are seeing a doctor who other doctors would choose too. Optional: Insert doctor quote about receiving the award. Dr. Name is an expert small bio about the doctor. In 2016, he/she received the most positive reviews from his fellow doctors in the Doctors’ Choice Awards for his work in category. For more information, contact Contact person at your practice at Phone number or Email. If you decide to buy advertising space or time, please make use of these guidelines. We have provided artwork of the Doctors’ Choice Awards winner badge in this file and the LOGO, if you should choose to run an ad for your practice. If you use this art, please make sure that it is reproduced faithfully. You may refer to all or select only a few of the copy points provided below when writing your ad. Doctors’ Choice Awards first developed the award in 2014 to recognize outstanding doctors based on impeccable practice credentials, outstanding leadership within the profession, and the quality and quantity of endorsements from their peers from around the country. The Doctors’ Choice Awards platform allows doctors to rate and recommend the doctors they trust their own health to, as well as those they have worked with, mentored, studied under, or had other professional associations with. It allows patients to choose a quality physician with confidence. The doctors who receive the DCA Top 100 doctors awards are recognized for having attained a high degree of peer recognition and professional achievement. The doctors who choose to join this program are confident in their expertise and solid professional reputation, so the nature of the platform attracts the best in the field. After joining, a doctor must meet the minimum number of reviews and quality rating before receiving a profile badge. The best doctor in each city, and each specialty, is named the local winner. From this pool of premier doctors, a national winner is chosen according to their quality and quantity of peer reviews. These talking points offer information about the Doctors’ Choice Awards and “special notes” to consider. These talking points may be helpful in speaking with both internal and external audiences about the awards program and your accomplishments. Doctor’s Choice Awards has long been one of the most respected medical review and rating websites, with over 6,000 of the nation’s leading physicians participating. Sample Social media messages that can be posted in Facebook, Twitter, G+, Linkedin etc. First, join DCA’s Facebook, Twitter and G+ communities.